Many students find the prospect of taking an economics course daunting (or maybe just dull). At the heart of this worry is perhaps just a misperception of what economics is about. It’s not rocket science, it’s not a collection of boring facts, and it’s not the study of money or the stock market. Economics is really just a set of interesting questions organized around a simple fact: there aren’t enough resources (money, land, time, etc.) to go around or satisfy all our needs and desires. Economists call this condition scarcity. It affects individuals, nations, and the entire human species—no one ever has enough of the things they want. On some level, everyone has to grapple with scarcity, and economists are interested in understanding how people do that. If you understand how people behave in the face of scarcity—and learn to think like an economist—economics can be an amazingly powerful tool. You can predict the behavior of individual economic agents, such as consumers or businesses—what economists call the micro level. You can predict the behavior of an economy (or economies) as a whole—what economists call the macro level. You can have a better understanding of the choices—and consequences—in your own life. Imagine that you’re about to catch a flight to Italy. You’ve saved and saved to pay for this trip, and you’re thrilled to finally be going. You’re on top of the world, until . . .
You get to the airport and have to go through security. The line is terrible. What choice do you have? You can’t board the plane without passing security. 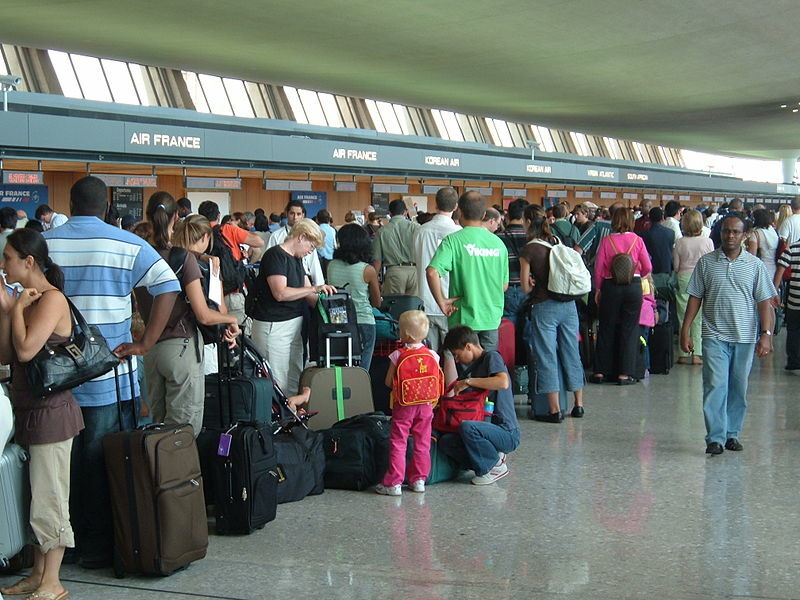 As you wait, you notice a different aisle for “special” passengers who fly more often. They aren’t waiting at all. In fact, if more than three of them collect in the line and have to wait for more than a minute, they act very annoyed—shifting their weight, rolling their eyes, checking their phones, and so on. Oh, brother! You’ve been waiting so much longer! How is that fair? Finally you make it through security and reach your gate. Sadly, you are in zone 5, which boards last. You have to struggle down the aisle—past rows of seats with more leg room—to a center seat. Worse, those who boarded before you have filled all the overhead bins. A flight attendant seems irritated that you have a large carry-on bag that won’t fit under your seat. He takes your bag off the plane and tells you to pick it up at baggage claim after the flight. Not sure what all this has to do with scarcity? You need to study economics!